Your LAKE ESCAPE search is over! 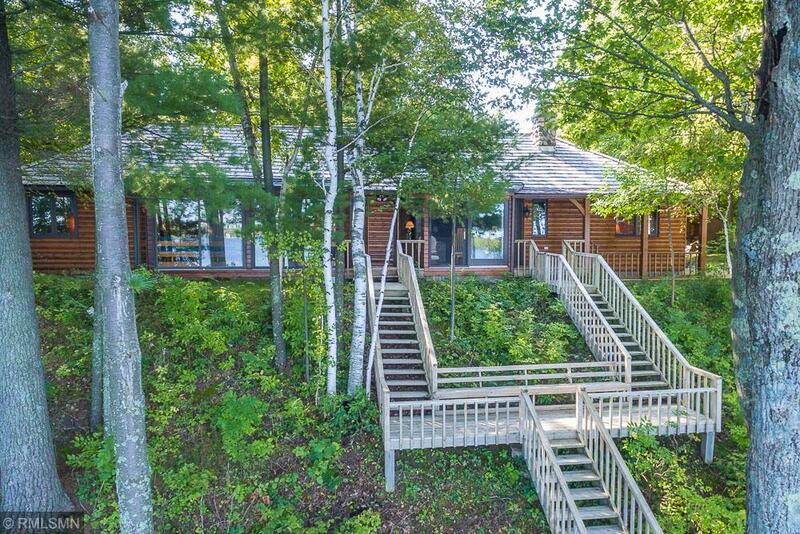 This awesome UP NORTH tranquil lake setting offers 100 feet of shoreline with gradual elevation to a nice sand lake bottom! Precious lake memories are made at this quarter-log sided 5 bedroom, 2 bath lake home that has been APPROVED FOR A 26X26 GARAGE and boasts a classic wood-burning stone fireplace, FABULOUS LAKE VIEWS through WALLS of GLASS, a warm & welcoming open floor plan, a T&G knotty pine interior, a large sky-lit gathering area with tray cove ceiling, a sauna, a screen room, a covered front porch, two storage sheds, a beautifully treed parcel AND a cute-as-a-button year-round bunkhouse! Also includes 3 back lots!